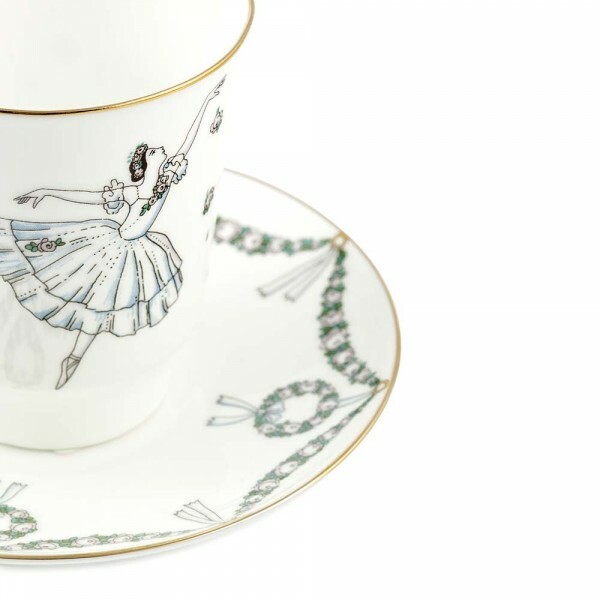 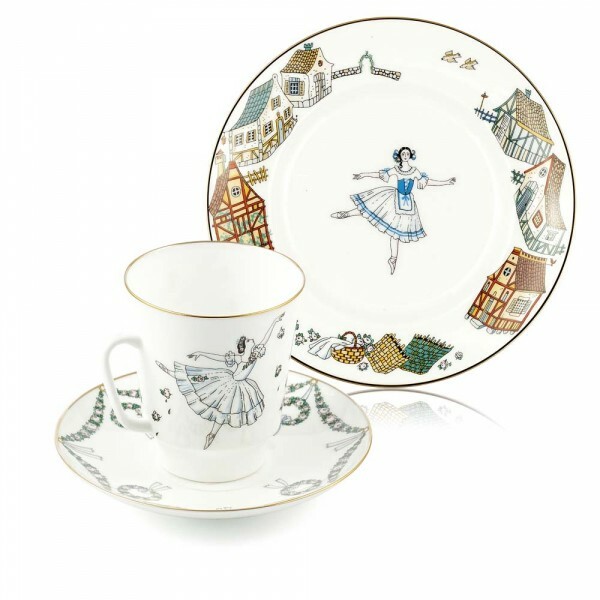 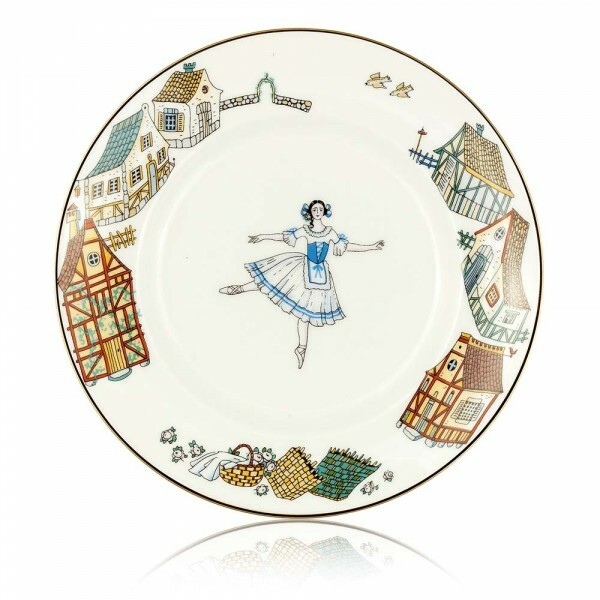 This set of a plate, saucer and cup is inspired by a famous ballet "Giselle"
The hand-painted decoration, along with the exquisite quality for which the Imperial Porcelain Factory is recognized the world over, makes this set a truly priceless gift and a unique work of art. Fine china is a symbol of taste and social strata, and is therefore known as royal china, or even as white gold. 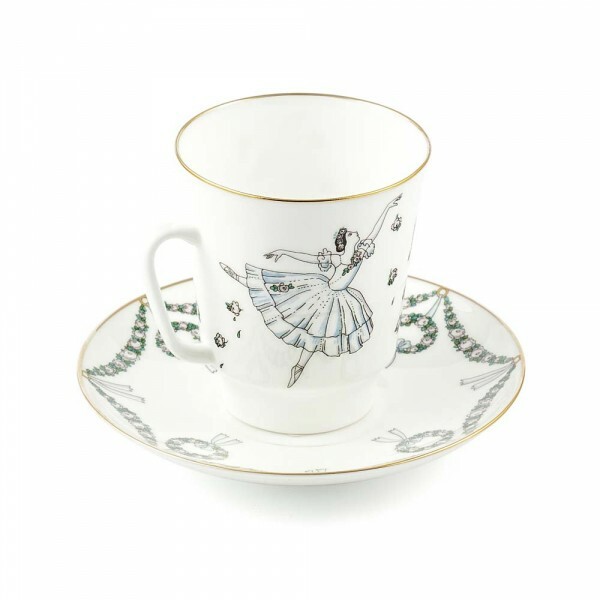 It is exceptionally fine, and even the lightest tap will elicit a beautifully melodious tone.